Fender® 4-way Tele custom pickup selector switch. 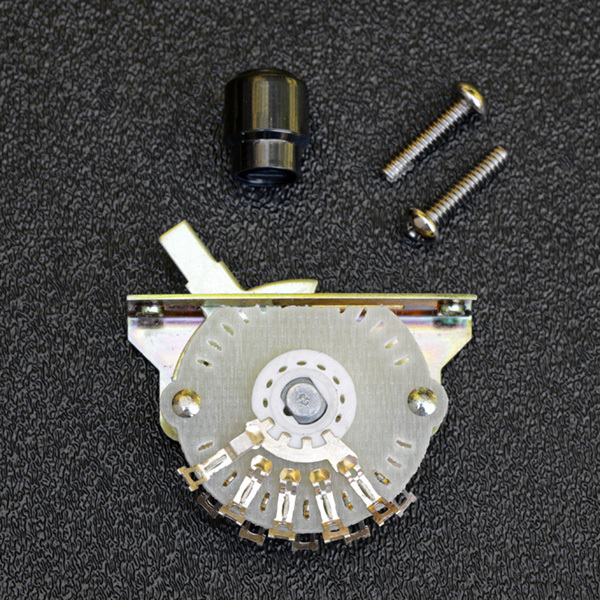 Four-position blade pickup selector switch lets you easily change Telecaster pickup wiring from series to parallel for increased output and fatter tone. Used on many Custom Shop instruments. Includes mounting screws, black original Tele tip and installation instructions.